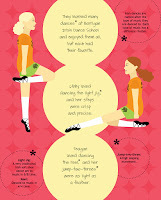 Irish dance is interesting, bright, colorful...and sometimes confusing! 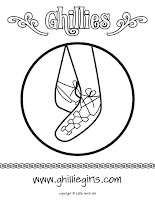 The Ghillie Girls: Irish Dance Pals is a book for children interested in this cultural art form. 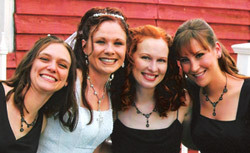 A blend of fact and fiction, the book follows the adventures of four very different girls who have one thing in common--their love for Irish dance. 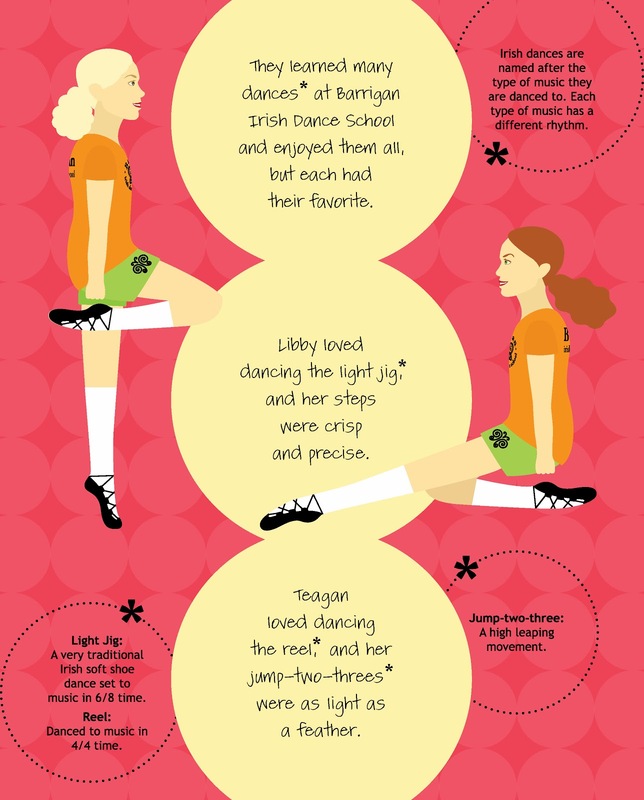 Colorful illustrations and fact-filled sidenotes describe what Irish dancers do and wear and why, while highlighting the value of things besides winning medals, like teamwork, sportsmanship, and friendship. 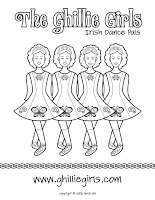 The Ghillie Girls began as a Christmas present for my Irish dance friends, the real life Ghillie Girls: Beki (Libby), Kim (Addy), and Jacqui (Keelin). 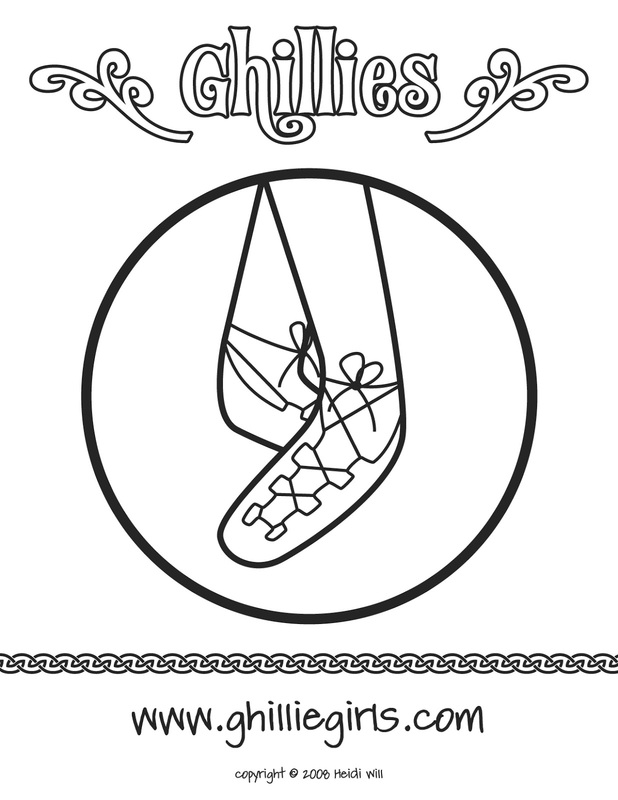 I wanted to give them a meaningful present, and as I thought over our adventures together as Irish dancers, the idea for The Ghillie Girls book began to form. It came together in just a couple of weeks and I printed a few copies on a color copier and bound them by hand. It was a great hit! Then I decided to share the book with others and spent several months revamping it to be more informative and helpful for new dancers. The Ghillie Girls is a lot different than the Christmas presents I gave to my friends, but the basic premise is still the same: Irish dancers make great friends. Note: For international orders (non-U.S. shipping addresses) shipping costs will be calculated after the order is placed and a separate request for funds will be sent through PayPal. Vendors and dance schools--contact me for a wholesale discount! Take the "Which Ghillie Girl Are You?" quiz and find out! 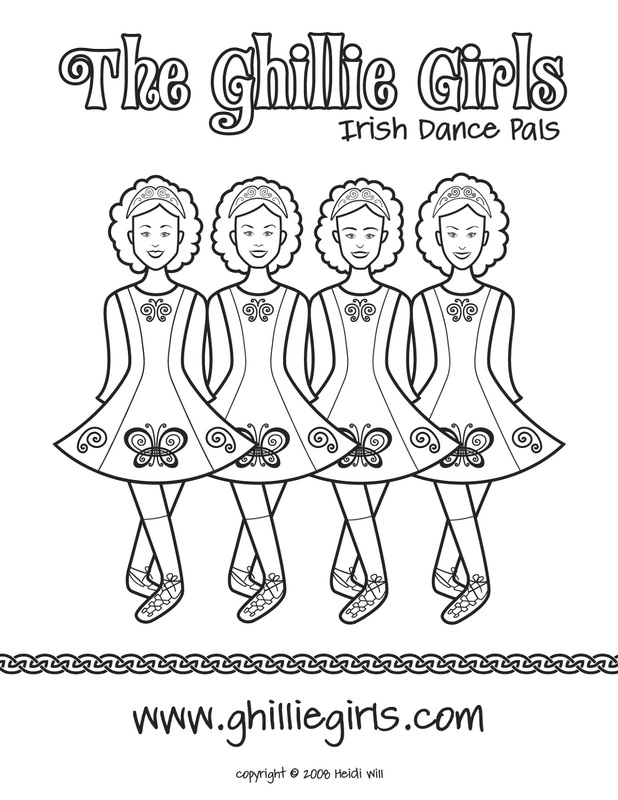 Click on the images to the left and right to download free coloring pages containing artwork from The Ghillie Girls: Irish Dance Pals! Hi Heidi, is your book still available to purchase via PayPal from this website? I'm in Melbourne, Australia & am posting this comment on Tue 24 Oct 2017. My daughter is mad keen on Irish Dancing. I want to know that copies of the book are still available before going thru the PayPal process. Thanks.